I always have an issue reading small books/novellas and add ons like this. They’re tiny, they’re not ‘full’ books. Do they count towards my Goodreads goal really? But now I’ve hit my 50 book goal for 2018, I thought I’d go through the books on my shelves that aren’t necessarily ‘full’ books. My boyfriend brought Tales of Beedle the Bard with him when we moved in together and it fits perfectly on our Harry Potter shelf! It was such a cute little read that probably took me less than an hour overall. 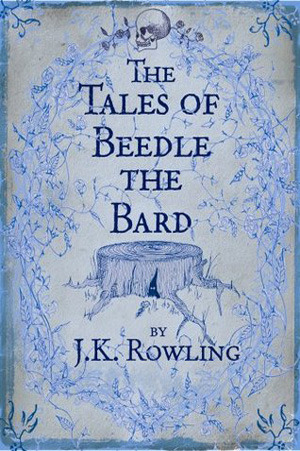 I really enjoyed reading these little stories, and having Dumbledore’s notes at the end of each one really helped understand the meaning behind each one. They really reminded me of Aesop’s Fables, which I loved as a kid. I loved how each story had a real moral. But unfortunately, it’s not all rosy. I did enjoy these stories, but they felt sooo far apart from the whole wizarding world. Dumbledore connected them to a degree, but I still felt like they were just a bit..gimmicky? I’m all for add-on Harry Potter books like The Art of Harry Potter, but this felt a bit thrown together to please the fans and give them something new. But really, who am I to complain? Because as Adam Silvera said when I saw him at a talk a few weeks ago, I am so much of a Potterhead that I would even read Dobby’s story if J.K. Rowling wrote it.